The first round of debates to trim the books will take place this week as the authority attempts to save enough money to avoid bankruptcy within two years. Now Conservative councillor for Keith and Cullen, Donald Gatt, has pressed the leadership to use the “extra” £4 million given to the region by the Scottish Government this year to guard off huge cuts. However, council leader Graham Leadbitter accused the Tory member of shirking responsibility for big decisions by walking out on the administration in June. It is estimated that about £14 million needs to be saved by the authority over the next two years. Yesterday, Mr Gatt also called for greater transparency about the budget-setting process after learning Wednesday’s talks will be held in private. He said: “I accept that some information needs to be confidential but there is a real need for the administration to be as transparent as possible – I don’t feel in this case they are. “At this critical point for Moray the Conservative group feels we need the public with us. The only way to ensure that is to let them know what we are thinking and what we are doing. It is understood that information about Wednesday’s talks will be released after the meeting. 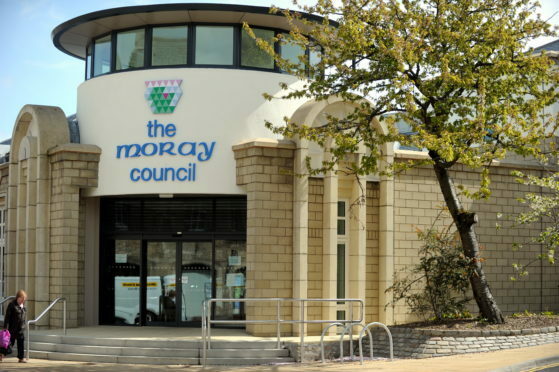 Documents published on Moray Council’s website explain the items will be discussed in private because they concern “staffing matters”. Mr Leadbitter explained the SNP administration was committed to working with other groups to draw up a balanced budget. He added: “What we are seeing now is Tory tapping from the sidelines after abandoning the council in mid-June. “Had we had a full year to work on the budget then we would have done things differently and would have taken a more strategic approach. However, we are several months behind. Claims about an “extra £4 million” supposedly being available to boost the council’s coffers proved divisive ahead of the budget being finalised in February. The previous Conservative and independent administration drew up draft proposals in December last year for consultation based on a £15 million shortfall. When the region’s settlement from the Scottish Government proved better than expected the deficit dropped to £10.7million by the end of January. The apparent windfall led to calls from opposition councillors to use the “excess” to drop proposed cuts to education services. However, when the budget was finalised on Valentine’s Day, the administration pressed ahead with almost all of the £6 million savings – with the only concessions being saving some public toilets and later some school crossing patrollers. Previous leader George Alexander explained that pressing ahead with the cuts would protect the council’s reserves to ease decision making in future years.